Best summer craft projects are fun and easy to make. On a sunny summer day, you don’t want to spend time in collecting a large number of tools and materials, but rather create something beautiful quickly, using just a few basic supplies you’ll always have at hand. 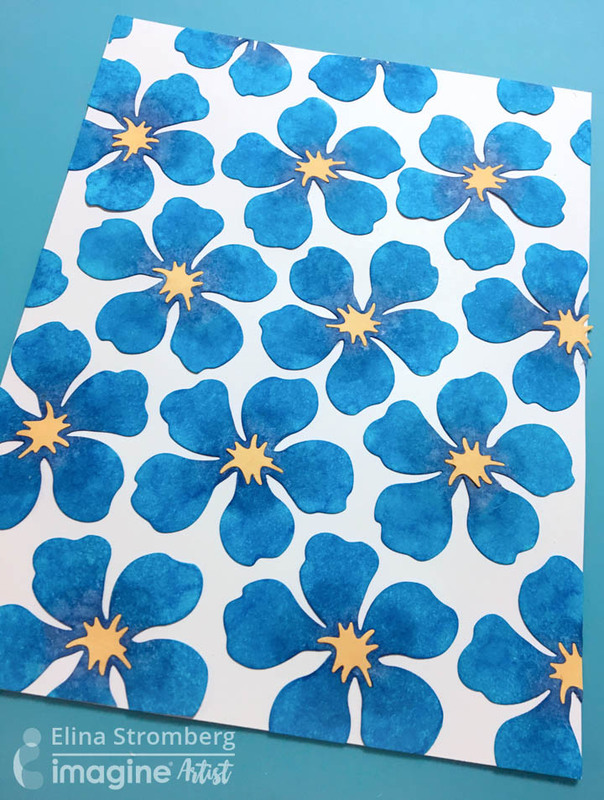 For these flower cards, you first create your own patterned paper using repeated floral images and your favorite ink colors. Then you decorate the front of your card with a panel cut from the self-made patterned paper, add a stamped sentiment on top, and your card is ready! Isn’t that just the perfect recipe for a summer day craft project! 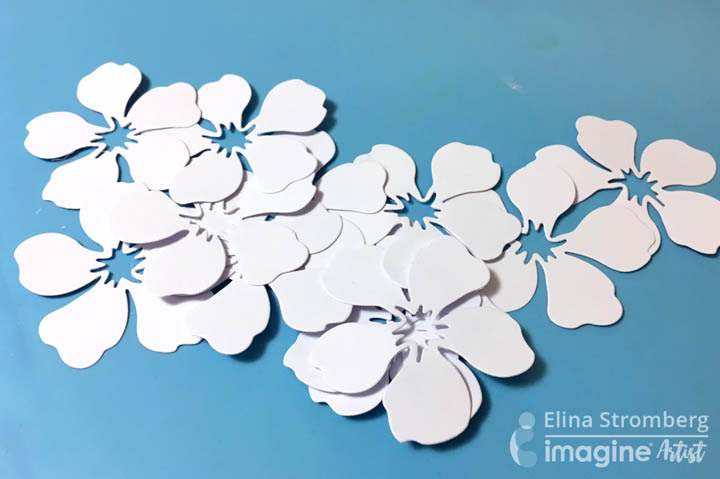 Using white cardstock, die-cut, punch, or free-cut with scissors a pile of flowers. Color the flowers with your favorite ink colors. For these sample cards, I used two blue Memento inks: Bahama Blue and Danube Blue. If you want to let the ink colors mix, mist the flowers with water and let dry. If your flowers have separate centerpieces, color them, too. 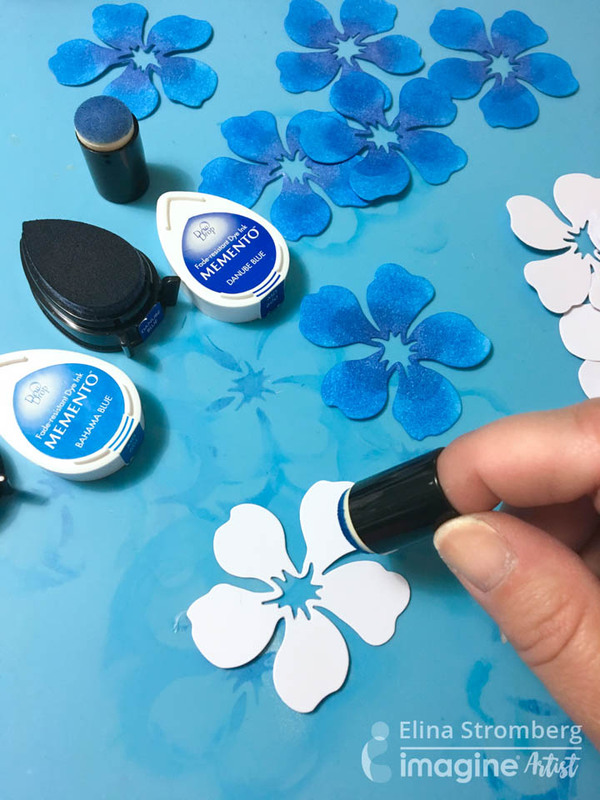 Glue the inked flowers on a piece of white cardstock. Leave some white space between the flowers. Let dry. Using scissors or a paper trimmer cut a panel from the decorated flower paper. Mat the panel on a piece of matching color cardstock, and glue on the card front. 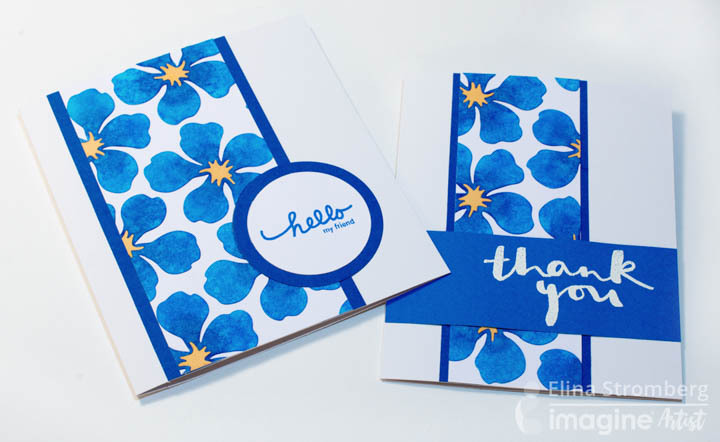 Stamp “Thank You” or “Hello” with VersaMark and heat emboss sentiment on a piece of solid color cardstock. Glue panel on a card front. 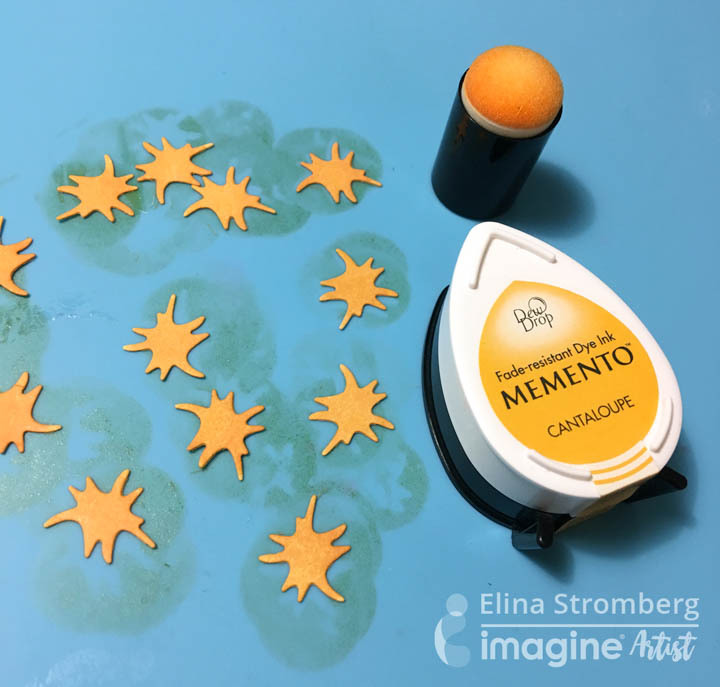 This entry was posted in Advanced, Beginner, Cards, DIFFICULTY LEVEL, DIY, Elina Stromberg, INSPIRATION, Intermediate, PROJECTS, UNCATEGORIZED and tagged cardmaking, Cards, DIY, DIY Inspiration, Embossing, Embossing Powder, Memento, Paper, Paper Crafting, Sponge Dauber, VersaMark. Bookmark the permalink.